One of our loveliest venues has an open day this bank holiday Monday. You'll be able to seee this charming Edwardian-era country house and discuss your wedding plans over a glass of champagne. 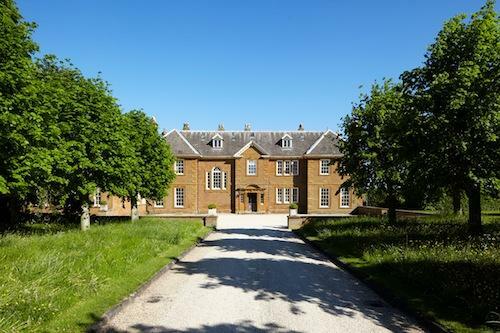 Poundon House is set within beautifully landscaped grounds, and is available for hire on an exclusive basis. Lovingly restored to its original splendour, this Oxfordshire gem features nine bedrooms, three large reception rooms, a handsome library and an intimate wood-paneled study. Designed in the classical Queen Anne-style, the house is an ideal setting to celebrate your wedding. The house is situated in open countryside with far-reaching views across towards Waddesdon. And while the house may be situated in splendid isolation, it is easily accessible from all directions. Poundon is only a little over an hour away from London and Birmingham by car ; just an hour away from Heathrow airport; a mere ten mins from Bicester Village outlet shopping centre; and the culture and heritage of Oxford is only 30 minutes away.